Lieutenant Jorus Cogud began his career as a helmsman after graduating from StarFleet Academy with a major in helm and navigation, a minor in security and tactical. 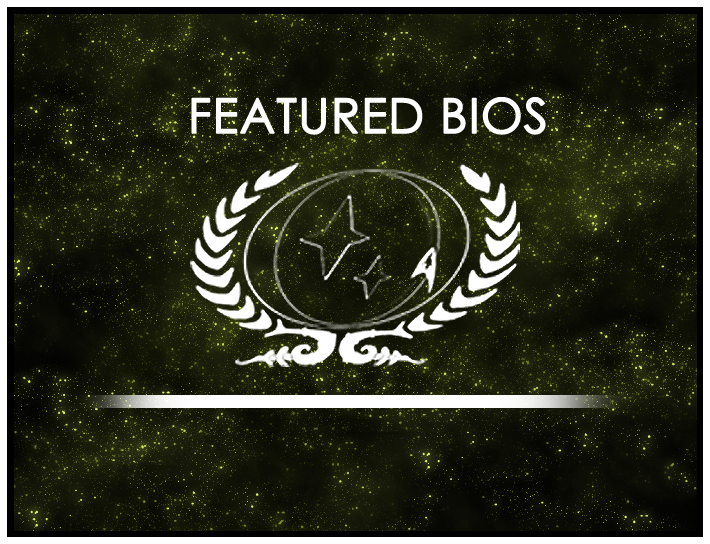 He worked his way up to chief helmsman before moving into his current role as the chief tactical officer of the USS Discovery-C. The Trill was born on a Ferengi Smuggling vessel, which the family were in hiding on after getting revenge for the murder of his grandfather by Orions. Though Jorus never knew his grandfather the significant event had a profound effect on the family’s attitude and feelings towards the race. Jorus was brought up to hate and despise the people because of what they’d done and will avoid them even to this day. The rest of his upbringing was just as interesting and he started training with Ferengi Energy Whips when he was just 7 years old. He continued to practice with them long after he left the vessel and has reached a professional level of competence with them. He keeps his skills sharp by practising whenever he has a spare moment. Jorus was given a Marauder Mo action figure as a gift by his godfather Zug, who in a typical Ferengi fashion recommended he keep the original packaging so it would be worth more. His godfather also taught him to play Dabo from the age of 12. Jorus keeps the action figures to remind him of his upbringing on the Ferengi Vessel. Lieutenant Jorus Cogud’s Bio will be displayed on the wiki’s front page for the month of May. As always, you can find out more about the contest at its wiki page or in its forum. Round 12 is now open, so be sure to drop by and submit your own nominations!